Black Friday Blog Hop – Jane’s holiday wish-list! CONTEST IS NOW CLOSED – WINNER ANNOUNCED – CONGRATULATIONS SANDRA! THANKS TO ALL FOR PLAYING!!! Happy Black Friday! I hope you all enjoyed your Thanksgiving dinners and ate until you needed to pop open a button in your pants. I know I did! Thank you to Carrie Anne Ryan for hosting this fabulous blog hop and for allowing me to participate! One lucky commenter will win a $5 Amazon or Barnes & Noble Gift Card. There are also THREE grand prizes. You as a reader can go to EACH blog and comment with your email address and be entered to win. Yep, you can enter over 200 times! Read on for instructions on how to win! With the holiday season officially upon us, it goes without saying that list-maker extraordinaire Jane Frank, the character of my newest novel, A State of Jane has her Christmas list already prepared and ready to go. I thought it would be fun to share her list with you. I’ve also shared Jane’s own letter to Santa Claus. I hope you had a great year! I can’t believe it’s already time to tell you what I want for Christmas and for the coming year. I’ve been a nice girl this year, with some notable exceptions, yes, but even nice girls get to be naughty sometimes too, right? Um, ok let’s continue. For the coming year, I’d really appreciate if you could arrange for the following gifts and blessings to be sent my way. 1. Acceptance letter from Columbia Law. I know I have to make more time to study for the LSAT and I promise I will as soon as things calm down in my personal life! 2. Lose 5 pounds. I have been going to the gym A LOT lately and even though I’ve also been experimenting with new recipes, I think the effort I’ve made to exercise should count for something. I mean, Lainie practically begs me to make my special macaroni and cheese recipe and Marissa loves my red velvet cupcakes and I can’t possibly show up to brunch at my parent’s house empty-handed. It’s only fair that I get to at least eat too, right? 4. A healthy little niece or nephew that I could spoil and dress up in cute clothes! 5. Nanette Lapore Tea For Two dress with cutout detail on front. So pretty but SO expensive! 6. La Mer moisturizing lotion – my mom says if I start using it now, I can probably delay the aging process for at least a few more years! Lainie (roommate) – A journal from Kate’s Paperie to document activities with boy-toy of the week; coupons good for a week of dinners made by Jane; bottle of Baileys Irish Creme. Claire (older sister)– Bottle of prenatal vitamins; $50 gift certificate to Loews/AMC movie theaters (to share with husband, Kevin); cashmere hat, glove and mitten set from Bloomingdales; Kate Spade Nook Cover (from outlet). Bob (ex boyfriend) Gift Certificate to Bar 29 for $25 beer/wings to watch “Cuse” basketball. One lucky winner – $5 Amazon giftcard. All you need to do is leave a comment with your email address. Please see the attached link for the other participating authors and GOOD LUCK! I have a lot going on these days and sometimes it is helpful to write it all down. Since I was going to put it in writing anyway, I figured I would share my schedule with you all! 1. Spend almost an entire week with my boyfriend starting tomorrow. YAY! Since he lives across the country, this is kind of huge. 2. 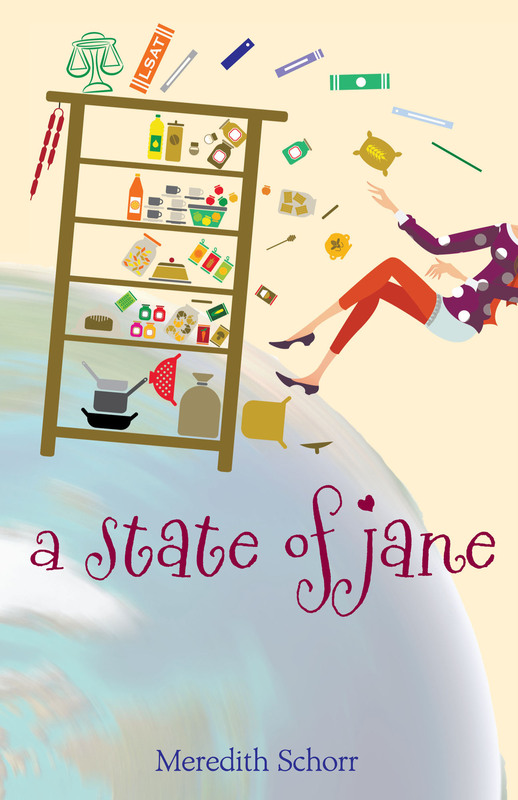 I will be announcing the winner of the 350 “Likes” on Facebook Giveaway on Wednesday, November 21st – there is still time to enter to win a free ecopy of A State of Jane! 3. Black Friday Blog Hop. On my blog, I’ll be giving away a $5 Amazon or Barnes & Noble gift card to one lucky winner. On December 6th, I’ll be a guest speaker at Rachael Events Create, along with three other women who have created or are in the process of creating their brands. I will be discussing my books, writing in general and providing dating tips from the main characters of my two novels – use your judgment before following said advice…Tickets are $20 a person and include cupcakes, prosecco and crafting for charity. For your chance to win, all you need is to comment on my blog with the name of the book you would most like to see made into a movie or a television show and why. Also, you have to like my Facebook Author Page. If you don’t like my page, I cannot make you a winner. Sorry! I’m excited to see your answers! Contest ends at midnight on Wednesday November 21st and winner will be announced on Wednesday!